Was Fanta Really Invented by The Nazis? Who has not heard of Fanta, the tasty orange-flavored fizzy drink? Most of us have. Millions consume the beverage on a daily basis the world over. 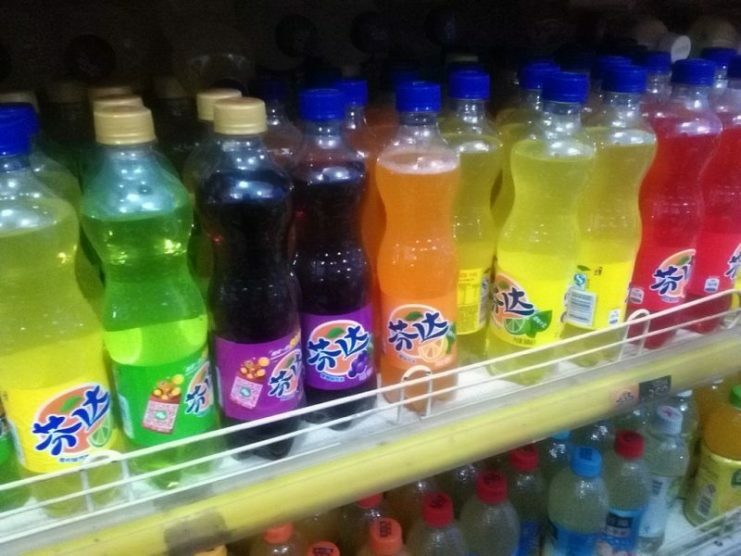 Only its parent brand, Coca-Cola, and possibly its rival, Pepsi, are the two other sodas that dwarf Fanta in terms of sales. It was only recently, in 2015, that the Fanta brand celebrated its 75th anniversary. If you do the math, 2015 minus 75 equals 1940, placing the year of inception close to the beginning of the Second World War. Some might think that, because Fanta is an American drink, it was most probably developed with the brave GI’s in mind and with the primary ingredients sourced from Florida oranges. The truth is a somewhat different story, and one most of us have never heard of, despite a very silly marketing disaster on the part of The Coca-Cola Company. So, let’s start with that. And you might get an idea of where and how Fanta was first created. The Coca-Cola Company, in 2015, thought that it would be a great idea to spill the beans on the popular beverage’s history. The aim was to tell the story of post-war values in the USA. However, the inappropriate nature of the ensuing advert was even worse than rival Pepsi’s notorious ad involving Kendall Jenner breaking up a riot with a can of Pepsi a few months earlier. Vilification of the ad was harsh. Many asked how Coca-Cola could equate the period of the Holocaust with the good old times? His explanation was not enough. 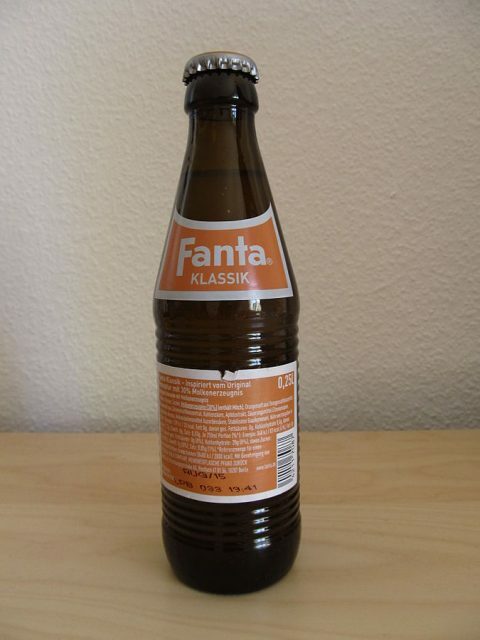 Detractors were quick to say that the name “Fanta” was derived from the German word “fantastisch.” It was alleged that Adolf Hitler himself gave the order for the development of an orange-flavored drink for his troops. Furthermore, it was claimed the oranges were not sourced from Florida, but from Nazi Germany’s Fascist ally Italy and the end-consumer were not American GIs but guys in jackboots from the Sturmstaffel (SS). All in all, the commercial was hastily discontinued. However, the embarrassment lingered on. The truth of the matter is somewhat different, and Adolf Hitler had no direct involvement in Fanta’s creation, although he did have an indirect role, namely by hurling Germany into the Second World War. Fanta was not a Nazi creation like the Volkswagen Beetle. 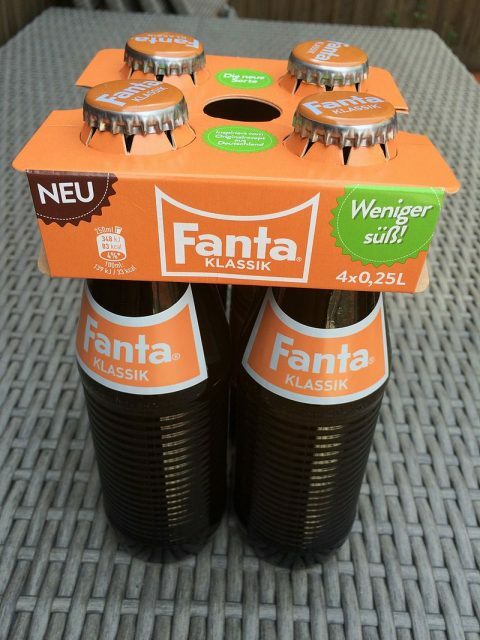 Instead, a clever Coca-Cola managing director based in Germany came up with the idea of Fanta out of necessity. Before the outbreak of the Second World War, Coca-Cola was one of the most popular drinks in Germany. The American company had to open more factories to keep up with demand. Between 1933 and 1939, the number of crates sold in Nazi Germany rose from 100,000 to 4.5 million per year. 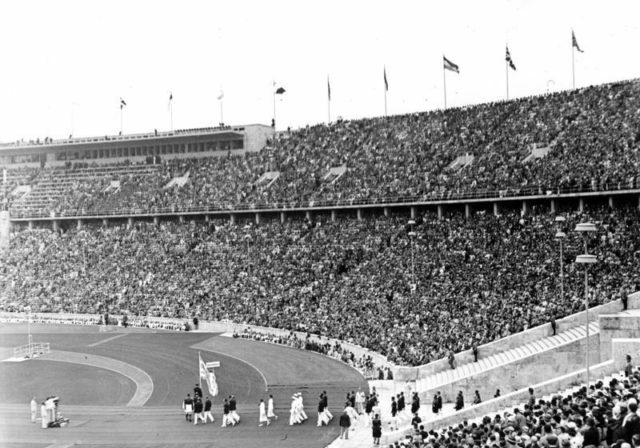 The Coca-Cola Company was even a sponsor of the 1936 Olympics in Berlin. However, Nazi jackboots started traversing the European Continent, first into Poland and then the Netherlands, Belgium, and France. This invited economic sanctions from both the US on Germany and from the Third Reich on American companies within its borders. By the mid-1940s, Germany found itself at one of the lowest points in its history. Adolf Hitler and his cronies ruled the country with ferocious abandon. 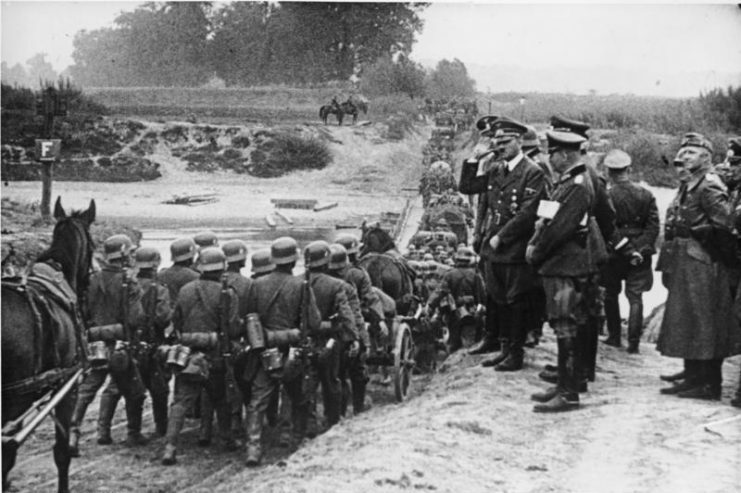 In the blink of an eye, Germany was enemies with former friends and trading partners. Coca-Cola Germany, as a result, faced a significant problem. 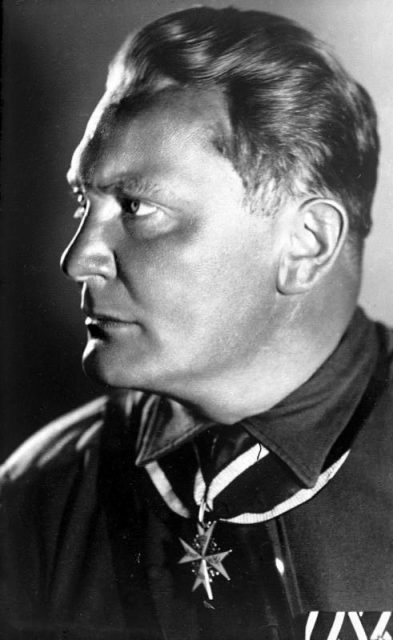 The import of the Coca-Cola concentrate was prohibited, courtesy of Reichsmarschall Herman Goering and, later, the Allied embargo. In addition, most raw materials were getting scarcer as the economy gradually shifted from that of peacetime to wartime. So, Max Keith, the managing director of Coca-Cola GmbH in Essen, had to do something to keep the subsidiary going. Max Keith assigned Dr. Schetelig, Coca-Cola’s chief German chemist, to start looking for an alternative. The important thing was that the new soft drink needed to be made from available ingredients. The selection was not large, making the result all the more surprising. Eventually, Dr. Schetelig managed to concoct a beverage made from whey and apple pulp. The idea was ingenious. Apples grow in abundance in Germany, even during the war. And whey was an available by-product resulting from the quark and cheese production that continued even in times of war. The result of the good doctor’s efforts was a refreshing, slightly sweet fruit drink. All it needed was a name, one which should be catchy and positive. The idea was that the drink should be fun and taste great. With that ethos in mind, Max Keith announced a name competition among the company staff. Fanta was a fantasy word that would give the advertising industry a lot of fun in the years to come. “The great thing about the brand name is that it is immediately understood in most languages,” said Keith. 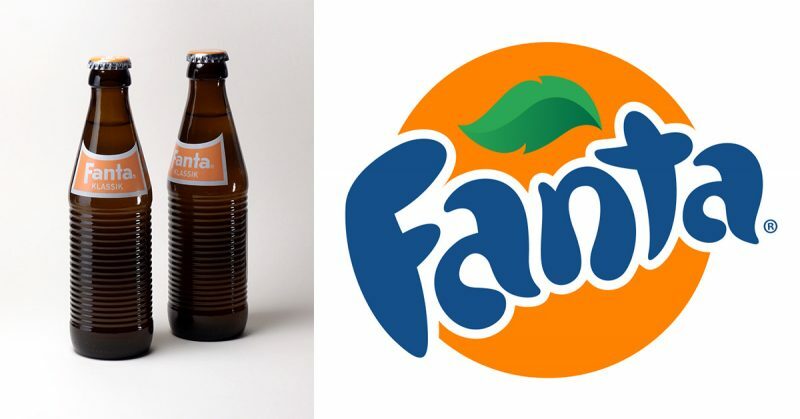 As a result, in 1941, Fanta was registered as a German trademark. The drink would be produced right until the end of the Second World War. After the war, other raw materials gradually became available again, and the Fanta recipe could be further developed. In 1949, Fanta was registered as a trademark in the US. The name rights truly belonged to The Coca-Cola Company from that point in time. The infrastructure for the distribution of soft drinks was at a surprisingly high level in the aftermath of the war. Had Fanta not already been invented and successfully marketed, then there probably would have been a lot more work to be done. Instead, Keith was able to seamlessly continue with the business as he did in the pre-war years. He was never a member of the Nazi Party and generally not politically engaged. What interested him most was the company. The brand reached two major milestones in 1955. Coca-Cola Italy experimented in Naples with a new orange recipe, which was to prevail. Consequently, when we talk about Fanta today, we refer to the most popular orange soda in the world––not the original whey and apple juice drink. The second big hit which catapulted the brand forward was the introduction of new packaging in 1955. French designer Raymond Loewy came up with the famous brown Fanta ring bottle. It was a design that fitted perfectly with the good-mood drink and was, at the same time, functional and straightforward. The dark glass protected the ingredients from the light, and the horizontal rings made the bottle distinctive and handy—a stroke of genius. Fanta was launched in Australia in 1955, and a year later in the USA. 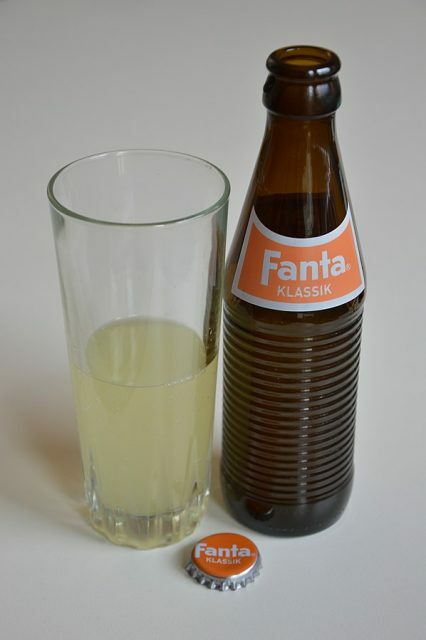 By the time the 1960s came around, Fanta was already bubbling away in 36 countries, including the Soviet Union in 1979 and China in 1984. Fanta lived up to its fanciful name in the following decades. Fanta Orange was the most popular flavor and made its triumphal procession around the world. In the late Sixties, Fanta Lemon was added. In the Eighties, it got really wild with more fruity flavors. And today, Fanta comes in all shapes and guises, including the all-important low-calorie version. But what has remained of the brand’s somewhat murky past? Apart from the name, absolutely nothing. Fanta was the brainchild of an American company director who wanted to circumvent ingredient shortages in the Third Reich. The drink was not created at the behest of the Führer as the misleading myth we mentioned earlier suggests. 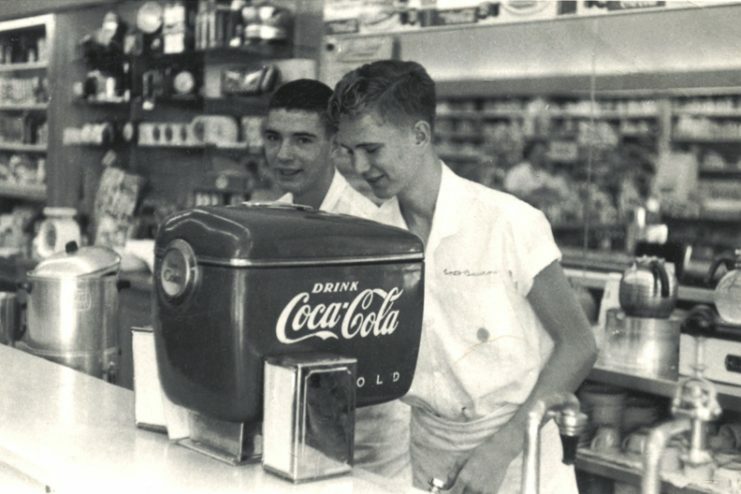 However, German influence did play a part in the soda’s creation in the form of Dr. Schetelig and the employee competition that came up with the name. But that is about it. Modern Fanta bottles have a completely dissimilar design. Furthermore, the Fanta we drink today has an entirely different composition to the Nazi-era drink that was, as we have seen, primarily apple-based. So, it is safe to say that you can continue to enjoy this signature orange-flavored soda without a bad conscience.